It’s been a bit megapixel madeness in the news these last few weeks, what with the D800 exciting journalists left, right and centre. However, we wanted to get a take on the camera from the point of view of a working landscape photographer to see just how it works in the field. Andrew Nadolski had an early purchase and has been using the camera these last couple of weeks and is waiting to answer any questions you have about it. Another new device on the ‘streets’ is the new resolutionary iPad with it’s retina display, supposedly designed so that owls can use facetime to spot mice without having to get out of their tree (supposedly). We’ve taken a look and compared it with the old iPad and against a reference monitor to see how it stacks up. 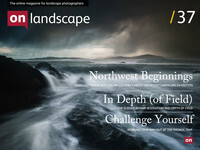 Depth of field is a big issue for landscape photographers and we’ve written a fairly comprehensive overview this issue to be followed by in depth articles about each aspect in future issues. 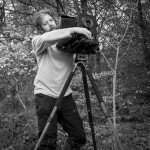 Jon Brock has also let us include an extract of his self published Blurb book with a few photographs and in a double special David Langan shows his latest project on the ‘Dark Beach’ and also shows us what he got up to with that SLR he won a few months back.